Players who buy and register the latest version of SimCity before 26 March can choose a free game from a selection offered by Electronic Arts. The free games, available as digital downloads, include recent releases Mass Effect 3, Plants vs Zombies and Bejeweled 3. 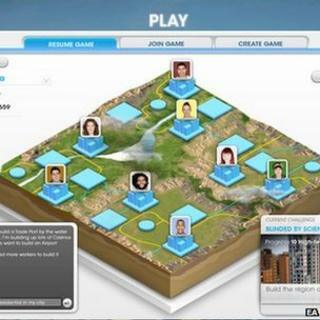 The move follows connection problems and glitches caused by EA's decision to make SimCity an online-only game. Earlier EA admitted that the game was originally going to be single player. However those proposals were shelved early in the development of the latest version. The admission came as players are finding ways to get round the game's need to be constantly connected. Lucy Bradshaw, head of SimCity creator Maxis, said an offline, single-player mode did not fit with its "vision" for the urban-planning game. She said many players preferred the multiplayer version of the game. In a blogpost, Ms Bradshaw said Maxis could have built a "subset offline mode" for the game that did away with the need to be constantly connected. Since SimCity was launched on 5 March, many players have blamed the "always online" requirement for causing bugs, in-game glitches and long waits to play the game. To get around the always-on requirement, some players have tinkered with the game's computer code to trick it into thinking it is connected when it is being played offline. Others have called on Maxis to produce a stand-alone version of the game. But Ms Bradshaw said the always-on requirement was "fundamental" to what the company wanted to do with SimCity and it was "designed" with multiplayer in mind. The decision to do this had not come from "corporate and it isn't a clandestine strategy to control players", wrote Ms Bradshaw. Maxis had gone down the multiplayer road to make the simulation more realistic by letting cities in the same virtual landscapes share elements such as pollution, crime and resources such as coal, she said. The multiplayer element was also essential for other aspects of the game, including the building of historic buildings and landmarks and to help players cope with world events and challenges. There were undoubtedly some players that wanted to build a "single city in isolation" as in older games but just as many were "loving the always-connected functionality", she said.